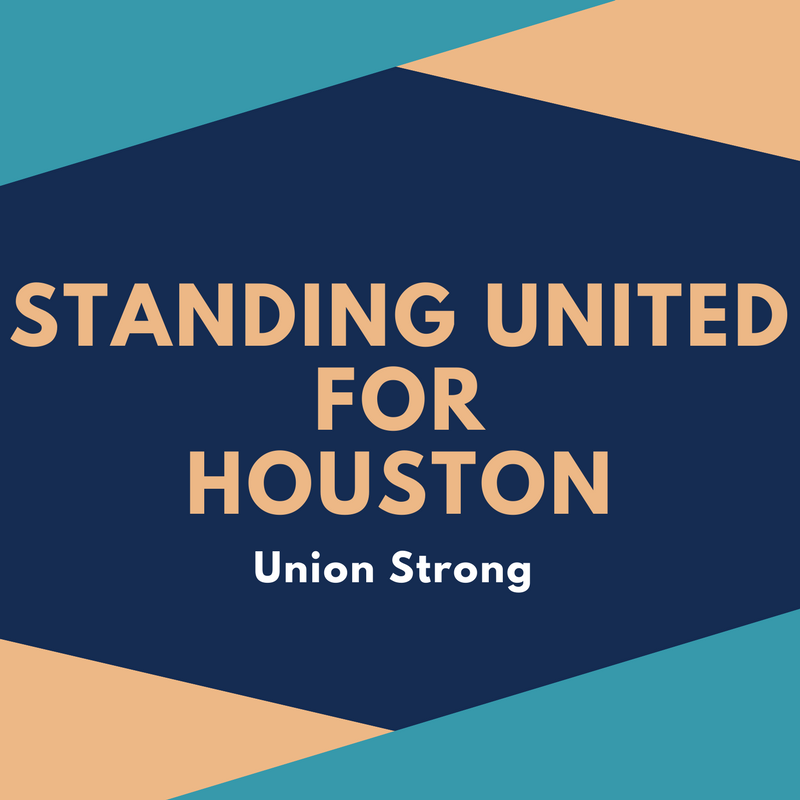 The Department for Professional Employees, AFL-CIO (DPE) is proud to have affiliate unions that have come to the aid of Hurricane Harvey victims. Affiliate union members’ support for Harvey victims has included joining together to raise money, deliver books, and volunteer on the ground. Our thoughts go out to the victims of this horrible natural disaster as they begin to rebuild. DPE has compiled a list of our affiliates’ resources for members. The list includes resources for victims of the storm as well as for those looking to donate to the relief effort. The list also highlights some of the work affiliates and their members have done so far to help the victims of Harvey. AFT is directing affected members to apply for assistance from their Texas AFT Disaster Relief Fund. Additionally, AFT compiled a list of other resources that can be found here. AFT is encouraging members to donate to AFT’s disaster relief fund. Additionally, AFT teamed up with First Book and the Barbara Bush Houston Literacy Foundation to deliver new books and basic-needs items to educators and students. The group created and provided seed money to the Essential for Kids Fund to help get books and supplies to those affected by Harvey. AGMA is directing members to their regional office to get an application to apply for assistance from the AGMA Relief Fund. SIU is directing members who participate in Union Plus programs to apply for a disaster relief grant. Additionally, SIU is encouraging members to contact the SIU’s Houston Hall for assistance.